If you drive along the 101 Freeway in Scottsdale, you cannot miss the 60-foot tall concrete tilt walls standing upright just north of Via De Ventura. Zack Mishkin and Jamie Canute of ORION Investment Real Estate negotiated the sale. “Imagine owning a mid-century, garden-style apartment complex right in the heart of Midtown, walking distance to not one, but two Light Rail stations and numerous notable eateries. Well, that’s The Rosecrest Apartments,” says Mishkin. 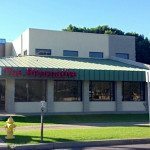 ORION Investment Real Estate has announced the sale of a single-tenant retail building for $1,200,000, or $371.75/SF. 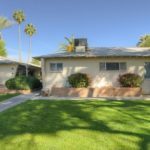 The property is located in the heart of bustling Tempe on renowned Mill Avenue, just south of University Drive. All properties are in close proximity to the Light Rail and are near major shopping anchors, as well as new, ground-up infill developments. 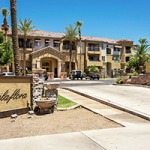 Located off the Loop 202 Freeway and Van Buren Street, Belaflora Condominiums sold for $1,255,000 or $83,667 per unit. 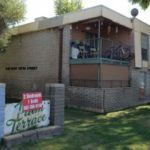 This 15-unit portfolio sale of Class “A” Condos is part of a larger 185-unit complex within a strong rental sub-market in central Phoenix. 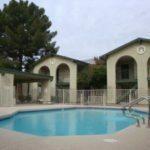 The units are adjacent to the Papago Golf Course, and near attractions such as the Phoenix Zoo, Desert Botanical Garden, and Tempe Town Lake. 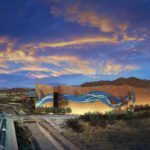 Ari Spiro’s Orion Investment Real Estate is marketing the retail and restaurant center adjacent to the Loop 101 aquarium. Derek Buescher and Andrew Harrison of ORION Investment Real Estate negotiated the transaction. 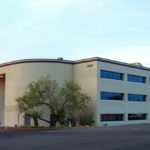 The property was sold by McKellips-Stapley Center, Inc. and purchased by Principals Jeff Geyser and Joshua Ungerecht from Geyser Management, LLC. 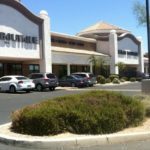 At $634 psf, The Marketplace at Lincoln & Scottsdale represents the highest price per square foot ever achieved for a multi-tenant retail center over 10,000 square feet in Arizona. The previous record was also set by ORION in the November 2008 sale of The Shops at Zocallo at $630 per square foot. 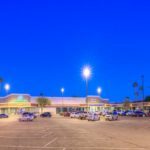 Reported as the highest price per square foot achieved for an Arizona multi-tenant retail property over 10KSF, The Marketplace at Lincoln & Scottsdale changed hands in a private, off-market transaction. The 22,081 SF retail center, which has quickly become home to some of the hottest local eateries, sold for $14M. 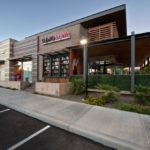 The restaurant-heavy retail center sits on the border of Paradise Valley and Scottsdale at the intersection of Lincoln Drive and Scottsdale Road. “This transaction was a rare opportunity to buy an intact 7.5 acres with no outparcels at the off-ramp of a major freeway. We are excited to see the new owner, in time, re-energize this highly visible retail property through lease-up and renovation.” said Spiro, president of Orion. The real estate adage, “retail follows rooftops” is a simple way to explain the demand for commercial services when a residential community is established or emerges. Despite the seemingly obvious relationship between residential and commercial real estate, many view the two as entirely different worlds. 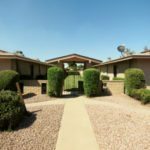 However, in Phoenix metro residential and commercial markets are especially interconnected. The 103,000-square-foot shopping center sold for $9.3 million to Sunburst Station LLC, an entity affiliated with Phillips Edison & Company based in Cincinnati. 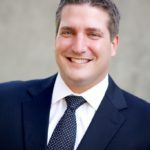 The seller in the transaction was The Sunburst Plaza Company, LLC based in Beverly Hills. The anchor tenant occupying Sunburst Plaza is a 56,000 square foot Fry’s Food Store (Kroger). 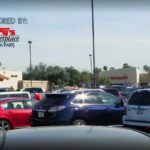 CIRE Management out of San Diego bought the 88,000-square-foot Monterrery Vista Village Shopping Center from a real estate partnership out of Sandy, Utah. Vestis Group is pleased to announce that Principals Natan Jacobs and Les Litwin have completed the sale of Palm Terrace Apartments, a 44-unit multifamily community located at 1133 West 5th Street, just west of the Farmer Arts District in Downtown Tempe, Arizona for $3,050,000 / $69,318 Per Unit. CIRE Management, based in La Jolla, purchased Monterey Vista Village Shopping Center from Sandy, UT-based Monterey Vista Village Shopping Center, LLC. The asset is located on the northwest corner of Pecos and McQueen Roads in Chandler. 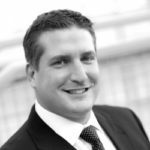 The transaction was negotiated by Jared Williams, Ari Spiro and Sean Stutzman of ORION.